Fair play Theresa. 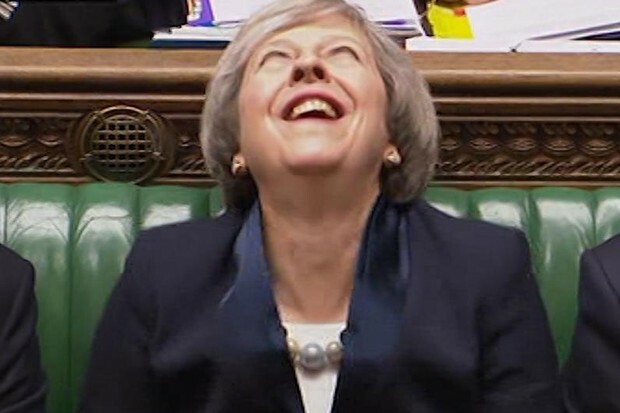 You can still find time to have a laugh despite the fact the deal you agreed with the EU has been heavily defeated (432 v 202) in the Parliamentary vote. Shot down, it was. Blown to pieces. These are apt phrases given the British Government has not had suffered such a meaningful division since at least the First World War. Regardless of what happens, and we don’t yet know, the Irish residents living and contracting in Ireland through an Irish Company and invoicing another Irish company will have nothing to worry about. I say ‘nothing to worry about’; what I mean is you’ll be no better or worse off than any other Irish resident. You’re operating through an Irish Registered Umbrella company. Before I sat down to write this article I searched high and low for my crystal ball, but couldn’t find it anywhere. So without it I’m just going to have to take a best guess at some possible scenarios which may come to pass. As you’ll be invoicing an Irish registered client through an Irish registered Umbrella company, there will be nothing from a company tax viewpoint which affects you while you remain in Ireland. If you’re living here and paying tax on all your earnings here then there’s not a huge amount to do or worry about. UK citizens will no longer be EU citizens. Will this mean you may need to apply for a work visa until such time as the Irish and UK governments agree a solution to this? When transferring money from your Irish account to your UK account it will no longer be deemed an intra-EU transaction. Cross border payments attract higher charges. The possible upside might be that the value of the Pound will fall against the Euro which means if you’re servicing debts in the UK, you’ll need less Euro to meet your monthly repayments. Any agreements the Irish and UK Governments want to enter into will require EU approval to maintain the Common Travel Area and continue to allow Irish and UK citizens to live/work/study in each country. All of the above will apply to UK Contractors as these apply to the individual. As you are also operating through your own UK registered company, there are also commercial issues to consider. Again, anything mentioned here is possible, but whether or not it’s probable is pie in the sky stuff. Your company will now be outside the EU for VAT purposes. That means if you incur VAT on a purchase from a country other than the UK, you won’t be able to claim it back. If agreement is reached to allow an EU based company reclaim the VAT from an invoice received from your UK contracting company, then the process is slow and requires a lot of form filling. Why would a company go to all that bother to hire a UK Contractor using his/her UK company when they can hire someone else with no additional paperwork required? Every week that passes sees a news headline of another company leaving the UK to relocate in Ireland or mainland Europe. This means there may be less work available for Contractors in the UK. UK contractors who were working abroad are now back in the UK (because they might not have the required visa to work abroad). So now you’ve less contract roles available in the UK, and more people looking to fill them. That’s going to drive your daily rate down. The truth is, no-one knows what will happen. We could be really imaginative and try to come up with the best case scenario or the worst case scenario. We could set out the most bizarre scenario which might get a few laughs and be discussed around the dinner table. But what use is that to anyone when we are all in the dark. What we do know is a no-deal Brexit is bad for everyone. It will add Tariffs to imports and exports. The ESRI reports that every 1% change in the UK economy has a ripple effect of 0.3% in Ireland. We are very much going to be affected despite what the politicians might say. At this stage the most realistic best case scenario will see the March 29 deadline extended by a year, maybe more. Untangling 43 years of EU laws and trade agreements isn’t going to completed by March 29th. Stay in touch with us. Contracting PLUS are the Expert Accountants for UK Contractors operating in Ireland. With offices in Dublin, Cork and London we work with hundreds of UK contractors. We have our finger on the pulse and our Tax Team are on hand to make sure that whatever happens on or after 29th March, that we continue to be the market leader offering the best and most compliant advice to ensure you are not paying any more tax than is absolutely necessary.